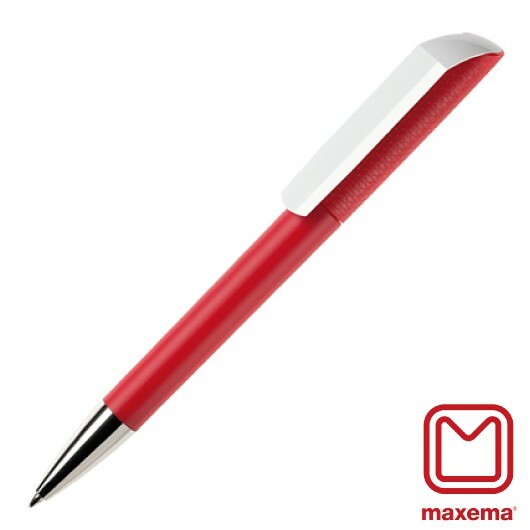 A premium Maxema Pen with your printed logo. A premium Italian pen at an affordable price makes these such a great choice. This is one of Maxema's latest creations and features a solid colour barrel with honeycomb textured cap and glossy white clip. The pen is twist action and is made from high quality ABS plastic. 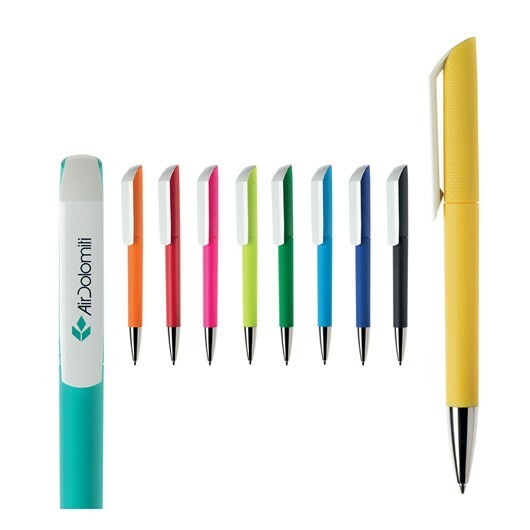 Please note: the colours you see here are for local stock and more may be available as well as other decorations on a longer production time - Ask us!